King Mongkut's University of Technology North Bangkok (KMUTNB) started a CubeSat project in 2012. Since September 2015, the KNACKSAT project has been funded by Broadcasting and Telecommunications Research and Development Fund for the Public Interest, Office of The National Broadcasting and Telecommunications Commission (NBTC), Thailand. We had monitored Object 2018-099U for two weeks. Unfortunately, we did not detect any signal from KNACKSAT again. Thus, we cannot conclude anything regarding the weak signal detected on Feb. 22, 2019. In addition, it has a high probability that the signal is not KNACKSAT's. On Feb. 22, 2019, our ground station detected a very weak signals of 435.635 MHz using TLE 2018-099U. We expect it to be a signal from KNACKSAT and we are monitoring the signal further. The figure below is an example of the signal that we detected. We had listened to TIANWANG 1C for several times. As Scott Tilley commented, the beep that we heard was from TIANWANG 1C, not KNACKSAT. TIANWANG 1C orbits close to the orbits of the objects from the SSO-A launch from time-to-time. The downlink frequency of TIANWANG 1C is 435.645 MHz. There is a comment from a radio amateur mentioning the signal we heard on January 19, 2019 might be from TIANWANG-1C. We are doing more analysis on this issure now. On January 19, 2019, our ground station detected short beep signals of 435.635 MHz every 10 seconds for approximately 2 minutes. Based on the frequency and the Doppler shift, the signals are likely to be signals from KNACKSAT. At this time, the team is in the process of further analysis and monitoring the signal again. The short beep signal every 10 seconds is consistent with the short beep signal received by the amateur radio operator Jari (OH2FVQV) in Finland on 18 January 2019. Our best guess TLE is 2018-099X. The figure below is an example of the beep signals that we detected. Happy New Year! At present, our ground station has not been able to detect signals from KNACKSAT yet. The last signal detected is by Fact Mubin on December 7, 2018, at 15: 04UTC. We are currently monitoring the signals and upgrading the ground station at the same time. According to our initial analysis, together with the satellite’s data received by Mike Rupprecht on 4 December 2018, we summarize the current status of KNACKSAT as follows. The strength of the beacon signal from KNACKSAT satellites may be very weak and there is noise in the neighbourhood of the ground station, making signal detection more difficult than usual. In addition, the satellite operation program is still in the mission starting phase, which continuously monitors the battery voltage level. If the voltage level is lower than the set value, the satellite will stop sending signals. The satellite will start sending signals again when the battery is sufficiently charged. This is done to maintain the battery to last as long as possible during the mission starting phase. So, there is a possibility that the satellite is in the battery charging period while we are trying to receive the signals and the satellite is orbiting above Thailand. The operation program will exit the phase starting phase to the normal working phase after the satellite has received an uplink command from our ground station. In the normal working phase, the satellite will transmit stronger signals and we can command the satellite to take pictures from space. Based on Celestrack's SATCAT data on January 3, 2019, there are 33 TLEs of 64 SSO-A satellites that have been already identified (https://www.celestrak.com/NORAD/elements/active.txt ==> International Designator = 2018-099). After the TLE becomes clearer, detecting of the signals from KNACKSAT will be easier and then the status of the satellite will be more accurate. SpaceX successfully deployed Spaceflight's upper free flyer (UFF) and lower free flyer (LFF) (SpaceX twitter, SpaceX Youtube, Spaceflight), following with the successful deployment of KNACKSAT from the LFF on Dec. 3, 22:49:57UTC. Tomorrow's attempt of Spaceflight SSO-A launch is cancelled. The new targeted date is Monday, December 3th, 2018. The tomorrow launch of Spaceflight SSO-A is ready! (SpaceX, Spaceflight). See SpaceX-SSO-A Press Kit for more launch info. Now targeting December 2 for launch of Spaceflight SSO-A: SmallSat Express from Vandenberg Air Force Base (SpaceX). Waiting for the launch is one of the hardest parts! The launch (November 28 ) attempt of Spaceflight SSO-A is currently no-go due to extreme high-altitude winds (SpaceX). 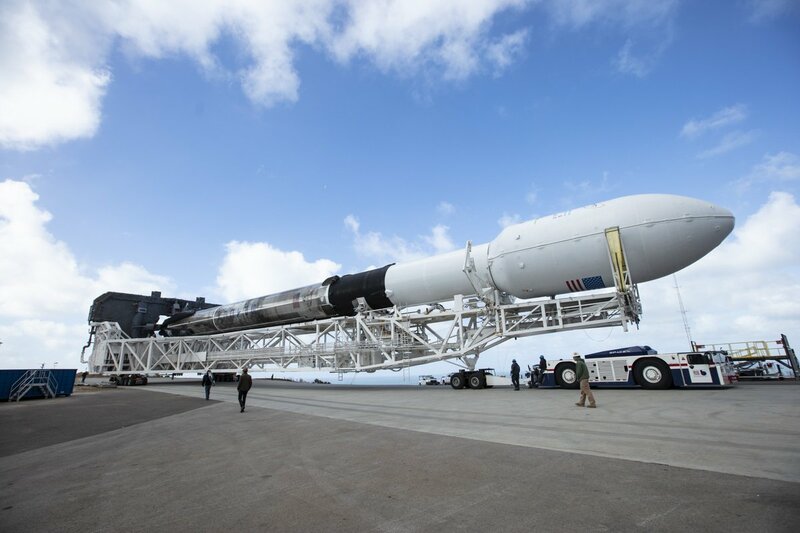 Targeting November 28 for launch of Spaceflight SSO-A: SmallSat Express from Vandenberg Air Force Base in California (SpaceX and SpaceflightNow). Standing down from Monday’s launch attempt of Spaceflight SSO-A: SmallSat Express to conduct additional pre-flight inspections (see SpaceX). 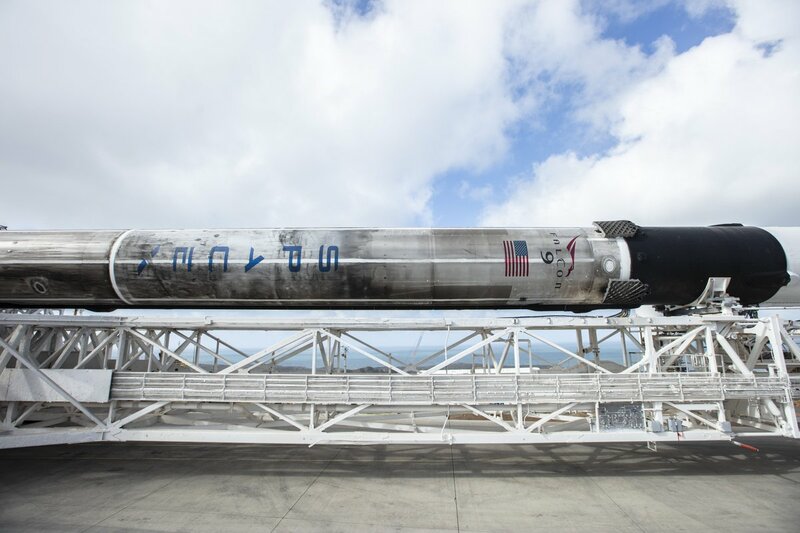 Static fire test of Falcon 9 complete—targeting November 19 launch of Spaceflight SSO-A: SmallSat Express from Vandenberg Air Force Base in California (SpaceX). One more step closer! Please refer to SpaceflightNow and Techly for the targeted launch date of Spaceflight SSO-A (Launch site: Vandenberg AFB, CA). Glad to be a part of SSO-A! Thanks to Spaceflight's excellent team. KNACKSAT is ready for launch (Spaceflight). Another 575 km to reach the targeted orbit. KNACKSAT satellite has been already travelled 13,714 km from its motherland,Thailand. KNACKSAT satellite left its motherland on September 22, 2018 and was successfully integrated into a dispenser on September 24, 2018 at Spaceflight's Auburn Integration Facility, WA, USA.. It will be on-board Spaceflight’s dedicated rideshare mission “SSO-A” aboard a SpaceX Falcon 9 rocket in 2018. We have completed the construction of KNACKSAT. We have completed the construction of a engineering model of KNACKSAT. Official KNACKSAT project start date.